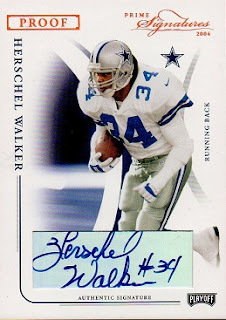 This is an example of a 2004 Playoff Prime Signatures Proofs Bronze #29 of Herschel Walker. 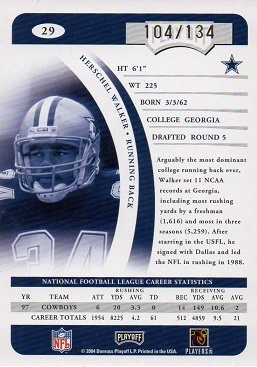 The Bronze subset is serial numbered to 134, with this example being #104. There are 11 variations in the Prime Signatures series which depict Herschel, of which I have four.